Motorola is on launching sphere these days. The brand has already introduced a range smartphones in India and Moto Z2 Play is one of them. 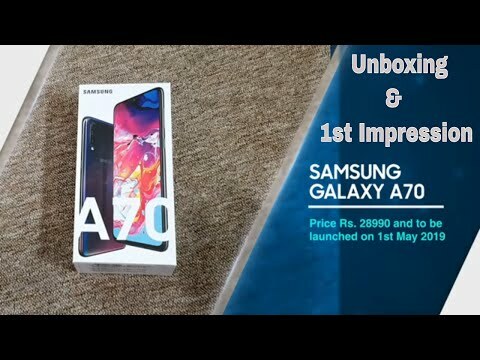 The device comes with a price tag of Rs 27,999 and is all set to take on the likes of Samsung and OnePlus, which has dominated this price segment. 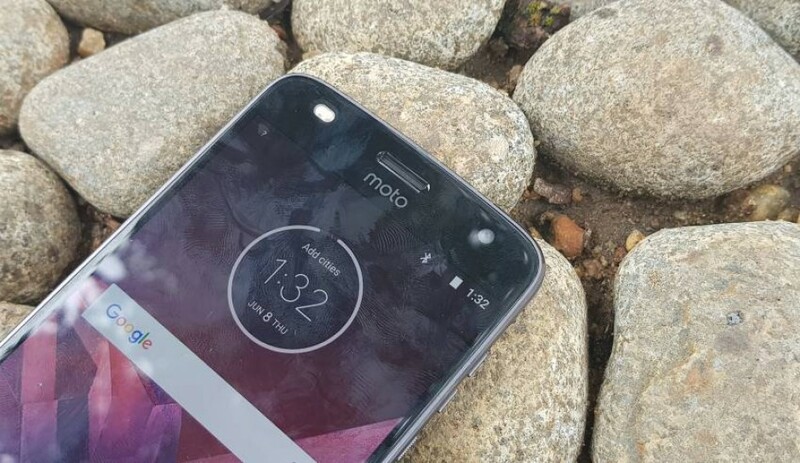 The Moto Z2 Play has a lot to offer with some sleek design, respectable specs and the modular concept, which is the core strength of Moto Z series. But is it enough to give stiff competition to its arch rivals? Let's find out. Moto Z series is always known for sleek design and this one is no exception. The smartphone is just 5.99mm thin and weighs 145 grams. This makes it one of the sleekest and lightest options available in the market at this price point. We quite liked the clever design that Motorola has used on this device. So, for example, the brand has carefully surrounded the antenna bands at the rear panel, which perfectly blends the overall aesthetics of the smartphone and certainly adds some brownie points to the device. The front houses a 5.5-inch display with some minimum side bezels, though the top and bottom bezels are quite noticeable. 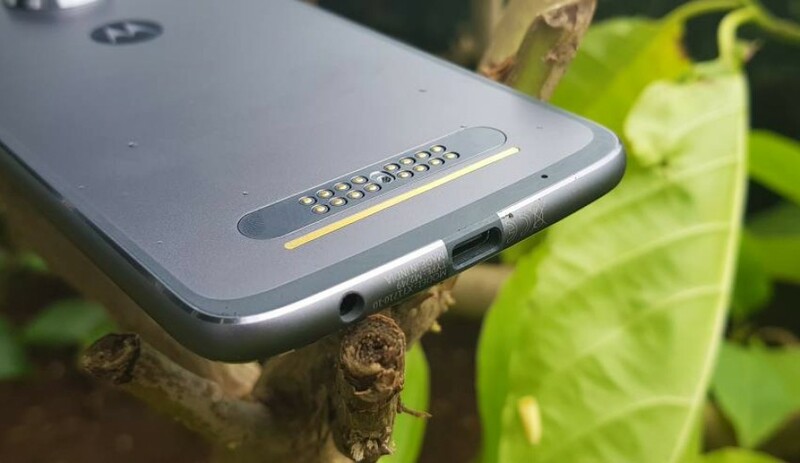 There is a dual tone LED flash at the front along with earpiece and usual array of sensors, while at the base, one will find a fingerprint scanner and the navigation buttons are on-screen. At the right, you will find volume controls and power on/off button, which are a bit uncomfortable to reach, though the ribbed pattern on the power button helps it to distinguish from volume controls. Thank left is bare, while at the top there is dual-SIM slot and at the base, one will find USB Type-C port and headphone jack. 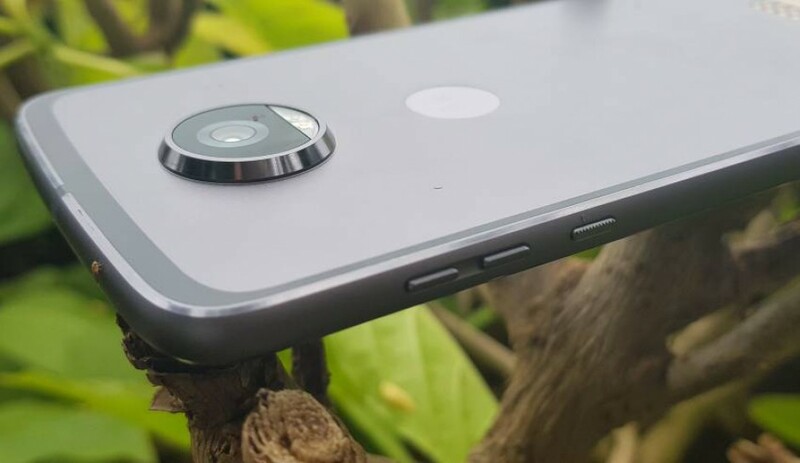 At the rear, there is a camera hump at the top centre position along with dual-tone LED flash, while at the base you will find 16 pins to connect Moto Mods. 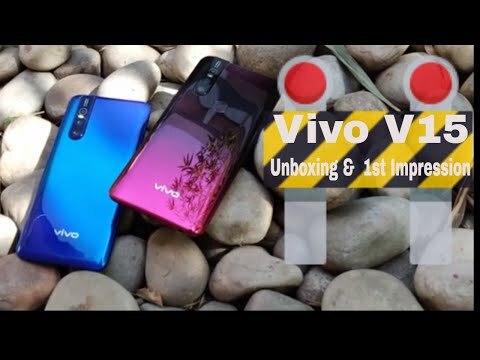 Overall, the smartphone does give a sleek look and metal body surely adds some strength as compared to its predecessor, which boasted a fragile glass back at the back. But still, some might find a bit slippery in nature. On the display front, the device sports a 5.5-inch Full HD Super AMOLED display with a screen resolution of 1920 x 1080 pixels coupled with Corning Gorilla Glass 3 protection and a pixel density of 401 ppi. Though it bears a Gorilla protection the glass is prone to scratches. Therefore, we suggest a film protection is a must. Moto has used AMOLED display, which is quite bright in nature and gives punchy colours. It bears some good viewing angles and watching videos were an enjoyable experience. On the downside, the display produces some oversaturated colours, which can spoil one’s mood. But, it comes with an option to change to a Standard mode by going to the Display settings. Further, the brand has also introduced Moto Display, which is a pretty useful feature. Through this one can view app notifications and can even reply to WhatsApp messages without opening the phone. A nifty addition indeed. The device runs on the latest Android 7.1.1 Nougat, which comes with a stock Android experience. For those who love the near stock finish, will definitely like the new user interface of the Moto Z2 Play. One can swipe up to open the app drawer and swipe down will open the notification tray. We also liked the fact that the home screen can change its orientation to landscape mode, which a welcome move. Unlike other user interfaces, which comes loaded with a host of unwanted bloatware, Motorola has minimal third-party apps. One will find some first-party Moto apps along with some default Google apps, which not only saves some space but also makes it faster (more apps, means more background process). Further, the UI comes loaded with Moto Actions. Users use the fingerprint sensor to navigate and all you have to do is swipe right to left on the sensor to go back and simple swipe from left to right will open recent apps. One can also lock the screen by touching and holding the sensor and a long touch will open Google Assistant. 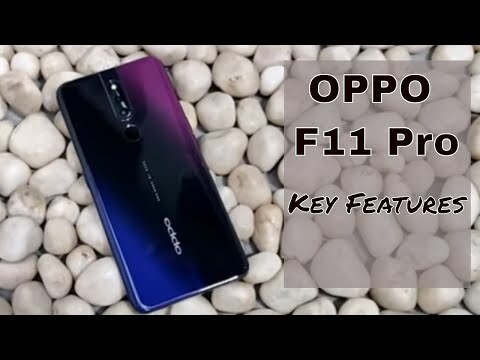 Then there is chop twice to open flashlight, twist to open the camera app, swipe diagonally to shrink the screen and more, which makes it easier to use the device. One will find some first-party Moto apps along with some default Google apps, which not only saves some space but also makes it faster (more apps, means more background process). Further, the UI comes loaded with Moto Actions. Users use the fingerprint sensor to navigate and all you have to do is swipe right to left on the sensor to go back and simple swipe from left to right will open recent apps. One can also lock the screen by touching and holding the sensor and a long touch will open Google Assistant. Then there is chop twice to open flashlight, twist to open the camera app, swipe diagonally to shrink the screen and more, which makes it easier to use the device. But the star of the show is the Moto Voice. Unlike Siri or Google Assistant, which requires “Hey Siri” or “Ok Google” command, with Moto Voice all you need say is “Show me”. Yes, it is that simple. So, for example, you can Show me the calendar or Show me Gmail, the Moto Voice will simply open the application. One can also different things including next meeting, schedule, events, weather, weather forecast, can open different apps and more. However, the Moto Voice is not perfect in some matters, as it fails to recognise different actions when there is some background noise. Overall, the user interface of the Moto Z2 Play is pretty clean in appearance and smooth to use. The device features a 12-megapixel rear camera with 1.4-micron pixels, f/1.7 aperture, dual LED flash and laser and dual autofocus lens. For the front, there is a 5-megapixel shooter with f/2.2 aperture, wide-angle lens and a front flash. 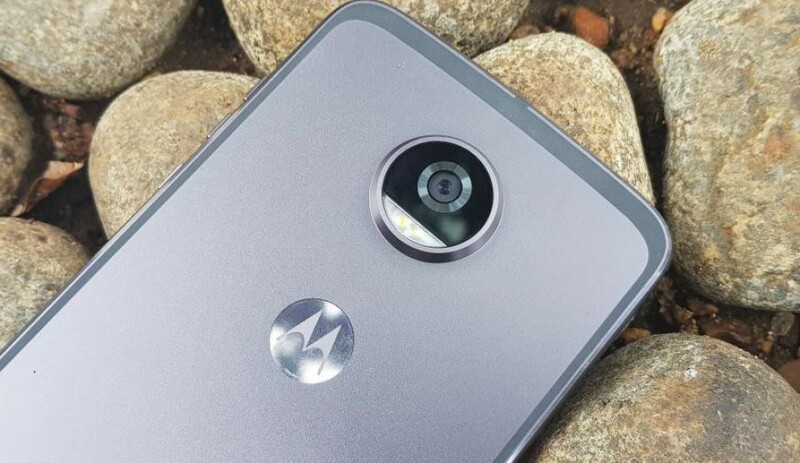 The camera department is a particular weakness of Motorola. And Moto Z2 Play is just another example of it. The performance of the camera is a mixed bag. Though it is able to take some good shots during the broad daylight, detailing is not at par with the rest of the competition. The phone took some good macro shots, which is a good thing. But when it comes to low light condition, we can see the device's struggle. First of all, it was not able to able to handle glares quite effectively and secondly, the photo came out to be softly focused, which is a not good thing. However, the dual-tone flash at the front is particularly useful in low light conditions and the front camera does a respectable job in most of the lighting situation. The camera UI, on the other hand, is pretty clean to use and easy to handle. There are different modes including Professional Mode, Slow Motion, Go Live and Panorama. Overall, the camera performance could have been better. On the hardware front, the device is powered by a Qualcomm Snapdragon 626 processor clocked at 2.2GHz. It comes in two RAM and storage variants: one with 3GB Ram and 32GB storage, while the other one sports a 4GB RAM and 64GB internal storage. The storage can be further expanded up to 2TB via micro SD card slot. On the battery front, it is juiced up by a 3000mAh battery along with TurboPower charger. On the connectivity front, it include 4G LTE, Wi-Fi 802.11 a/g/b/n, Bluetooth 4.2, USB Type-C, headphone jack, NFC, FM radio, and GPS/ A-GPS. Let us be clear here. It is not as powerful as the OnePlus 3T, however, the performance is at par with rest of the smartphones at this price point. The phone is able to handle most of the daily tasks quite effectively and when it comes to multi-tasking one might see a fraction of lag, but it is ignorable. On the gaming front, the device is able to handle most of the casual titles like a piece of cake and graphics demanding games like Asphalt 8: Airborne, Hitman Sniper and Warhammer 40,000: Freeblade can be played, but some might find some noticeable insistence of lag and frame drops. But, what we really liked about the device is the impressive battery life. The 3000mAh battery gives a pretty good output and can last up to two days of normal use, which is frankly an impressive thing. We used Google Maps along and played music while travelling and it lasted for more than 8 hours with approx 70 per cent battery. Other than this call clarity is good, though the earpiece output is above average and so is the volume of the speakers. Lastly, we faced an unusual problem while using the dual-SIM functionality of the Moto Z2 Play. 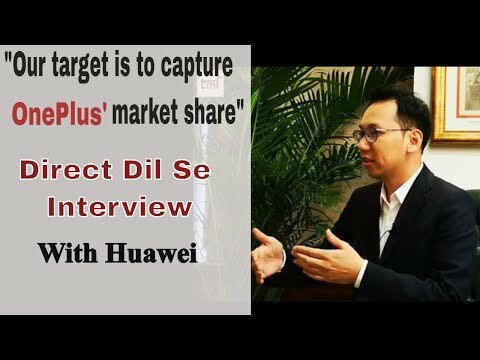 We used an Airtel and Reliance Jio SIM for testing and found out that whenever the data on the Airtel SIM was switched, the network of Reliance Jio goes for a complete toss. We didn't encounter the same problem while using Reliance Jio data. Frankly, this is quite a bizarre thing. We are hopeful it is a near bug and not a hardware problem. To wrap up, the Moto Z2 Play has more checks than crosses. The smartphones sport a sleek design, coupled with some well-optimised software and impressive battery life, but it shimmers a bit in gaming and camera department. 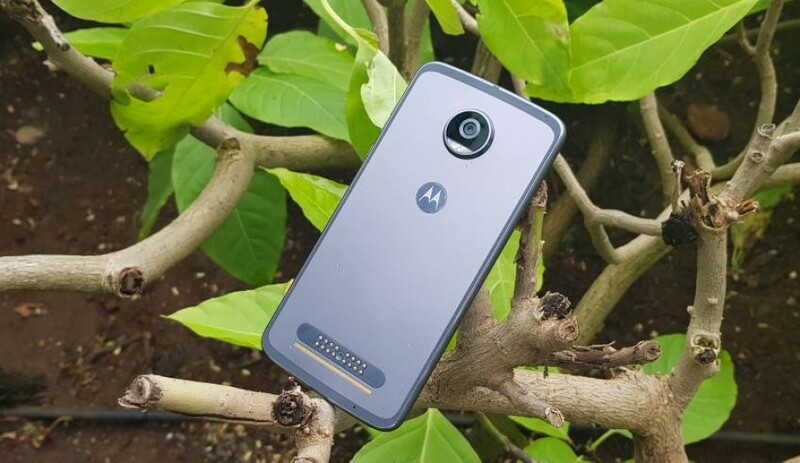 But still, if you are Moto fan and is looking to buy a new device, then this can be considered as good options, as it has an added advantage of Moto Mods. Though it is not as fast as OnePlus 3T, still it manages to do a decent job.